Over the last quarter of a century EVS Sports has become the leader in innovation and advanced technology, developing head to toe products for the majority of today's extreme sports athletes. What started out as one knee brace has evolved into an extensive line of knees braces, neck supports, helmets, chest/back protection and a long list of protective gear products to keep any athlete safe when doing what they love. They pour the same amount of dedication and determination into their products as you do into becoming the best that you can possibly be. Staying warm on those cold winter days is made easier with the EVS 2013 Street Cyclone Motorcycle Gloves, with their full leather construction, waterproof, insulated and thermal design the cyclone's are made for cold wet weather. 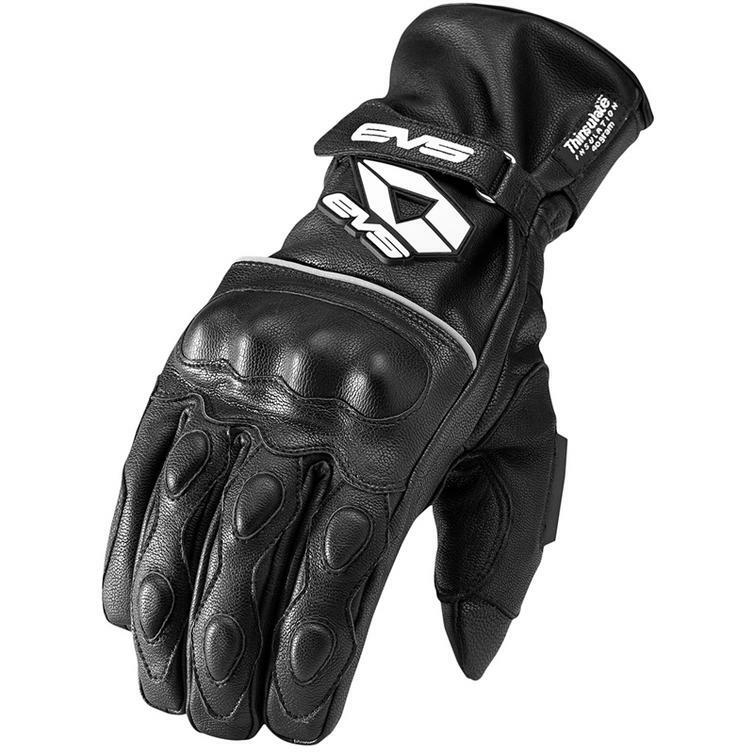 Keep your hands warm and wet free with the brand new EVS Street Cyclone Gloves. Get yours from Ghostbikes today!!! Ghost Bikes now stock a full range of EVS Motocross Gear. Please click here to see what's currently available. 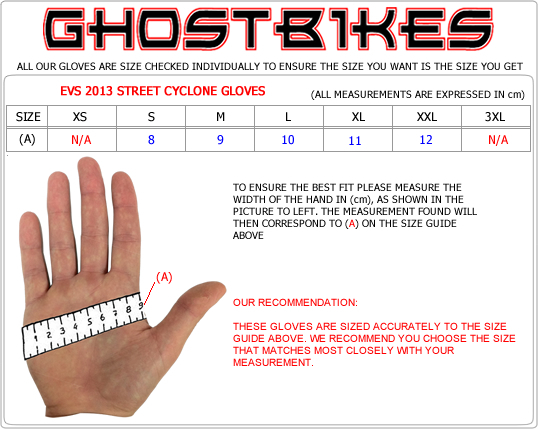 The EVS 2013 Street Cyclone Leather Motorcycle Gloves are currently available in the colours shown in the product variation above, if there is no variation option, they will be available in the colours as shown in the pictures above. 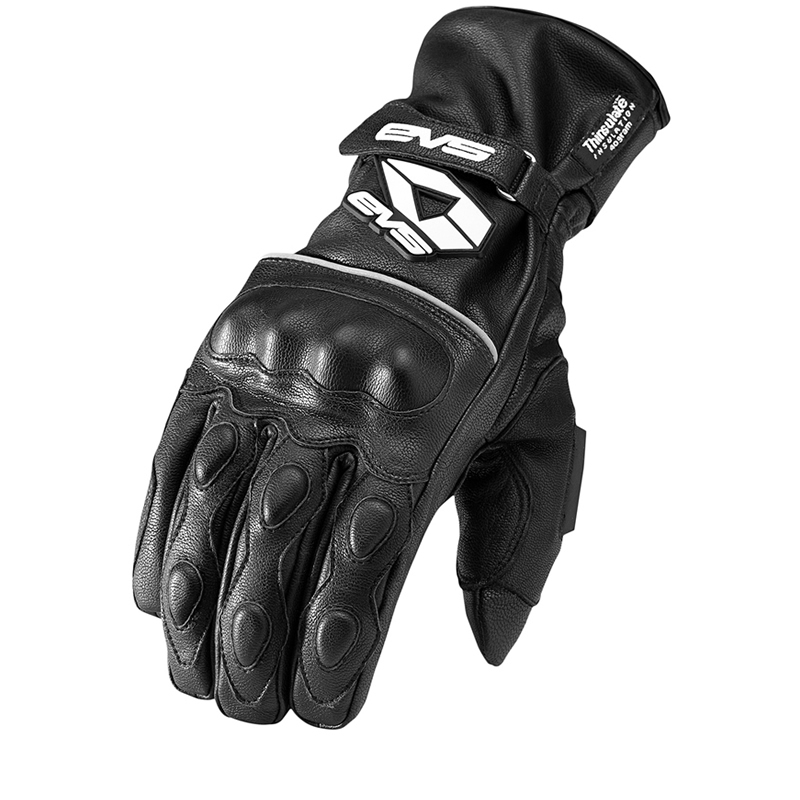 These EVS 2013 Street Cyclone Motorcycle Gloves are available in various sizes. Please use the guide below to help determine your correct size preference.